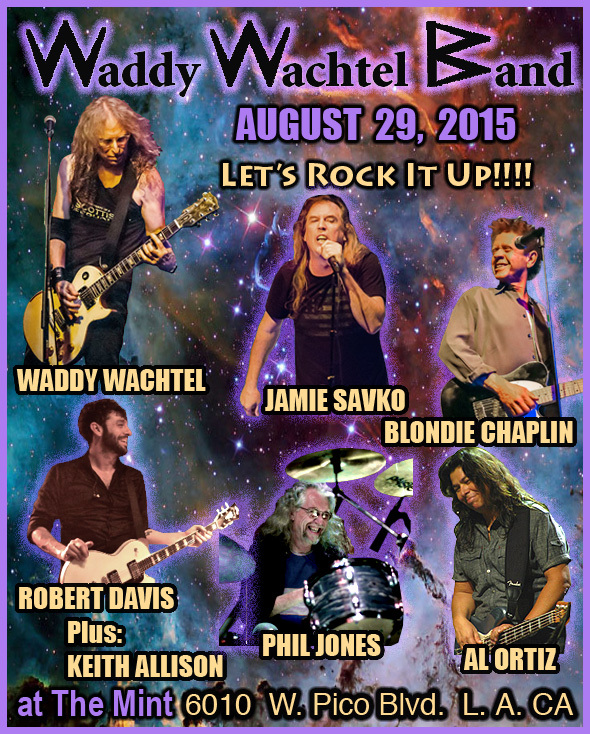 These are posters of the Waddy Wachtel Band gigs at The Joint created by Nina for the internet. Click on the date to find a review of the gig with set lists and photos. Copyright © 2016, Waddy Wachtel. All rights reserved.